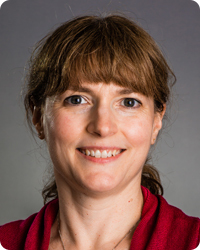 Karin Lamar, DMD Dr. Lamar earned her bachelor's degree from Boston University and her dental degree from the University of Pennsylvania in 1990. She has been practicing dentistry in NH for over 15 years. 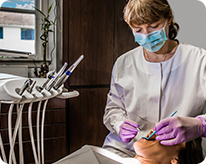 Dr. Lamar has built a reputation for quality dentistry and other dentists have voted her as one of New Hampshire Magazine's "Top Dentists" three years in a row. Our patients greatly appreciate of her thoughtful, gentle manner. Dr. Lamar and her husband enjoy skiing, kayaking and playing tennis. Daniel Garcia de Paredes, DDS Dan was born in Panama, and moved to central New York as a child. He attended Le Moyne College in Syracuse where he graduated with a B.S. in biology. He graduated from SUNY Buffalo School of Dental Medicine in 2005 with a Doctorate of Dental Surgery. 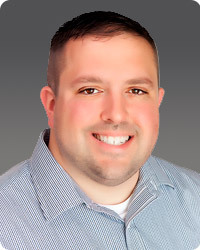 After graduating Dan began his private practice in Herkimer New York, where he worked for 13 years until joining Durham Dental. He has been a member of the ADA, NYSDA, Fifth District Dental Society, the Oneida Herkimer County Dental Society, and is joining the New Hampshire Dental Society. Dan and his wife Erin have 4 children, Colin, 9; Xavier, 7; Declan, 4; and Paige, 3. As a family they enjoy biking, skiing, and family vacations to Cape Cod where they boat, kayak, and spend days on the beach. The whole family is excited to explore the seacoast and make it their new home! Cindy lives in Newmarket with her husband Scott and her two boys Tyle and Niall. In her free time she enjoys playing ice hockey and golf. Daisy lives in Dover and loves spending time with her family, friends, and chocolate labs, Joey and Oliver. She also enjoys hiking and playing volleyball. Lynne enjoys spending time with family and friends. She has three wonderful kids - Ryan, Katie and Jenny. Lynne loves to travel. Kayla lives in Barrington and enjoys spending her free time outdoors. She is a proud mother of her daughter, Madisyn. Kelly is a proud mom of beautiful twins and enjoys spending her free time with them. 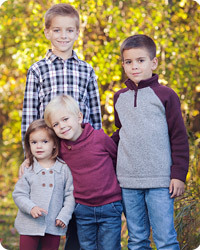 Melissa lives in Dover with her husband Travis and their two sons. Dawn lives in Farmington with her husband and their two boys. She enjoys cooking, knitting, reading, gardening and spending time with her family. "Dr. Rutter and his staff are great! When I broke my tooth they got me into the office right away and did a fantastic job fixing it. Thanks!"